The Corinthian Classic Yacht Regatta is honored to welcome a tremendous entry to the fleet for our 2018 edition. ALTAIR, is a 108 foot topsail schooner built by William Fife & Sons. She was launched in May 1931. As such, she is one of the last descendants of the famous fleet of schooners that revitalized schooner racing around the turn of the century. ALTAIR's origins lie in the desires of her first owner Captain H. MacCaw for a sound, safe cruiser; safe to go to the South Sea Islands in with no difficulty as he wrote to William Fife in 1929. While ALTAIR is certainly the bell of the ball, there are many other significant yachts participating. Don't miss being a part of this very special weekend. 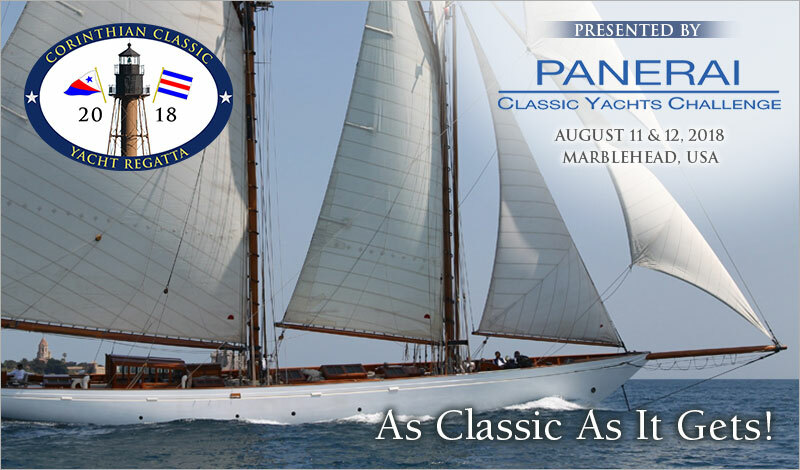 Join us August 11 & 12 for the Corinthian Classic Yacht Regatta, presented by Officine Panerai, the title sponsor of the Panerai Classic Yacht Challenge Circuit. You belong at this event!